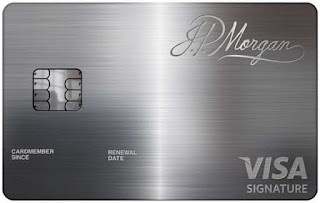 I’ve written about my personal experience with the JP Morgan Palladium card a few times (here and here) before. There’s no doubt that the Palladium card is a very unique and interesting credit card. It is probably the most beautiful credit card ever created. It is constructed with Palladium, has 23K yellow gold accents, has my awesome signature laser etched on the back of the card and it feels very hefty in your hands. The mystique of the Palladium card is what makes many individuals drool over it. My articles on the Palladium card are some of my most popular posts. The Palladium card is also a credit card that draws an unwanted amount of attention. I’ve looked on uncomfortably as I’ve seen waiters/waitresses pass the card around to show their coworkers nearby. I’ve even been treated much nicer in hotels after I’ve used my Palladium card at the front desk. 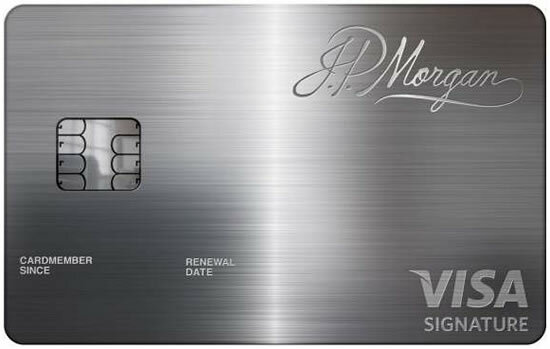 Although the plastic version is very nice looking (looks just like the JP Morgan Select card), it doesn’t draw any unwanted attention. The metal card has stayed in my wallet as “wallet candy” in the meantime. While I’ve detailed the Palladium benefits in the past, my favorite ones have been: unlimited guest access to airport lounges, no pre-set spending limit, and the fact that this card acts as a hidden tradeline. Credit reporting agencies simply do not see the Palladium card on my report, which has been nice. I’ve been able to run several thousand dollars worth of purchases (manufactured spending) on my statements with no ill effects on my credit whatsoever. At first, I intended on paying for the annual fee with my Chase Ultimate Rewards points. It would have cost 59,500 UR points at 1 point = 1 cent value. This would not have cost me any money, and I could have remained a cardholder another year. Right now we are still swimming in over 150,000 Ulimate Rewards points. Then I stopped and thought about what we could do with 59,500 Ultimate Rewards points. We could use them to transfer to Southwest, United, Korean, British Airways or Virgin airlines and take another free flight somewhere. 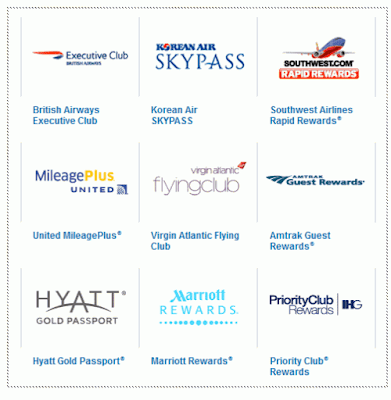 We could also use them to transfer to Marriott, Hyatt, or Priority Club for free hotel stays. At the very least, I could just convert 59,500 UR points into an extra $595 dollars into my Chase checking account. I also thought about what the Palladium card represents: consumerism to the extreme. Most of the extra benefits that the Palladium card offers cater to those who spend the most money. Want to stay at a fancy hotel? Palladium concierge will get you set up at a top tier expensive hotel, make sure you have early check-in, late check-out, free breakfast, free hotel gifts, and limo service. Want to dine at some of the most expensive and exclusive restaurants? Concierge will make reservations for you. For those who spend over $100,000 a year, the Palladium card rewards you with an extra 35,000 Ultimate Rewards bonus points. And with my new mindset against mass consumerism, I called JP Morgan customer service to cancel the card. I first asked if they could downgrade my card to the JP Morgan Select card ($95 annual fee) or any no annual fee Chase credit card. It turns out that the Palladium card cannot be downgraded or converted into any other credit cards at this time. We are now both using my wife's Sapphire Preferred premium Chase credit card. This card allows us to transfer UR points into various partner programs. When the $95 annual fee comes, we will explore other options to continue to be able to transfer our UR points to other partners, like using the Chase Ink Plus or Chase Ink Bold business credit cards. We may also keep the Chase Sapphire Preferred and just pay the annual fee with 9,500 UR points. Ending my relationship with JP Morgan Palladium is a small step towards ending our fascination / obsession with consumerism. We’ll also be able to save and enjoy an extra 59,500 Ultimate Rewards points every year (the cost of the annual fee in points). I think I'll start planning another vacation for us! Coincidentally, I have received my automatic annual renewal for Lounge Club and United Club prior to canceling my Palladium card. I called both lounge access cards and found out that I still have 1 year worth of membership as paid for by JP Morgan. It will be nice to get lounge access for another year, but if I get cancelled from these programs, we will simply wait to board with everyone else in the common areas. Why the dreastic change of heart and mindset? Rough year? I enjoyed reading your reviews, hope all is well. Thank you for your comment. Contrary to having a rough year, we've had a great year of prosperity and wealth accumulation. A big part of it was simply being more frugal and cutting back on frivolous spending. While the Palladium card does have value for many of its cardholders, I decided that the costs outweighed the benefits for us. There are plenty of other credit cards that offer excellent benefits without a $595 annual fee.